Treasury Secretary Timothy Geithner faces a challenge as he asks those nations to help Washington use sanctions to pressure Tehran over its nuclear program. The Obama administration is pressing those countries to help squeeze Iran financially, hoping to compel the Middle Eastern nation to abandon what Washington and allies say is a plan to develop nuclear weapons. 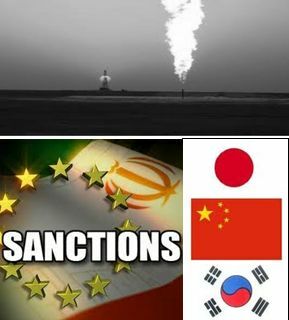 China has so far rebuffed the overtures, arguing there should be no link between trade with Iran and its nuclear program. Iran insists its nuclear program is for civilian purposes only.